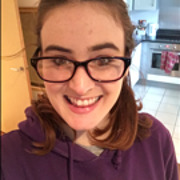 Hi there, I’m an enthusiastic and dedicated primary teacher with a range of tactics to help your child with whatever they’re struggling with. I have 2+ years experience as a class teacher (which I still currently enjoy). I am currently teaching year 3 and love it! I will often run after school clubs for my students to catch them up to the level of my other students and have seen tremendous progress.